Swimming is what will immediately come to the mind when we talk about these ten pools that are hidden in different parts of the world. All of the hotels like these are extravagantly investing to offer the best of a consequent. And with all these flattering descriptions, you should now start planning on your next pampering summer getaway. 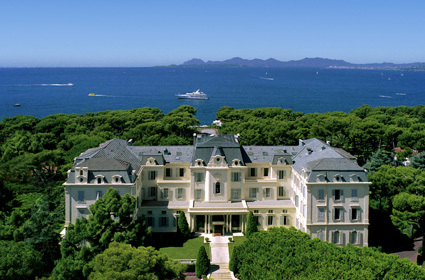 This hotel had undergone a renovation worth 64 million dollars and it was opened again in April of this year of 2011. 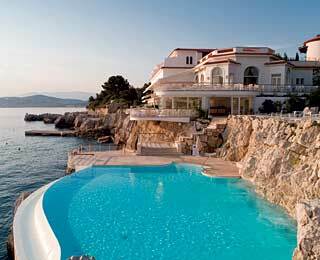 It is situated on the Côte d’Azur with a new outdoor pool exclusive for the guests of the hotel. The pool had been blasted from the cliff next to it. 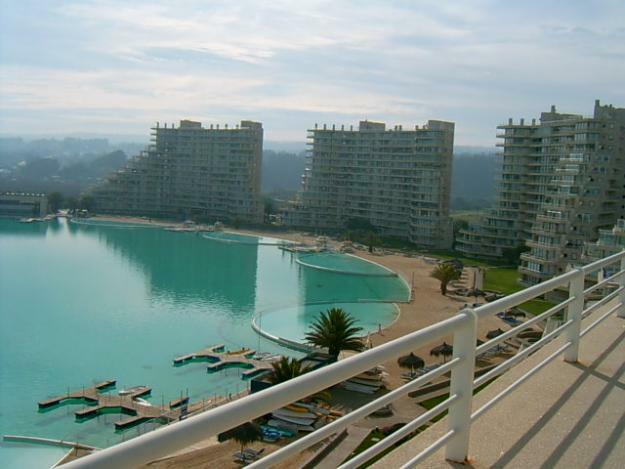 It lies 13 feet above the coast of the Mediterranean where people enjoy the 82 degree Fahrenheit temperature of seawater. 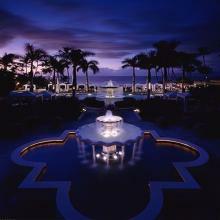 There are a number of these wonderfully made pools in Wailea, Maui being the leading resort with its top beach realty. 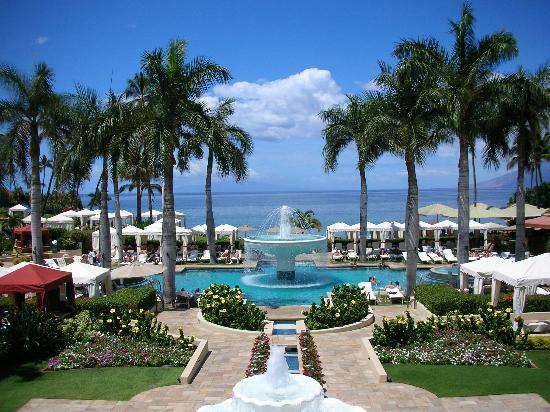 This hotel was launched in July of 2009 and offers its guests the unending saltwater pool that extends to the Wailea Bay for about 53 feet and which is worth 9 million dollars. As the guests swim, Hawaiian music is played by the speakers. 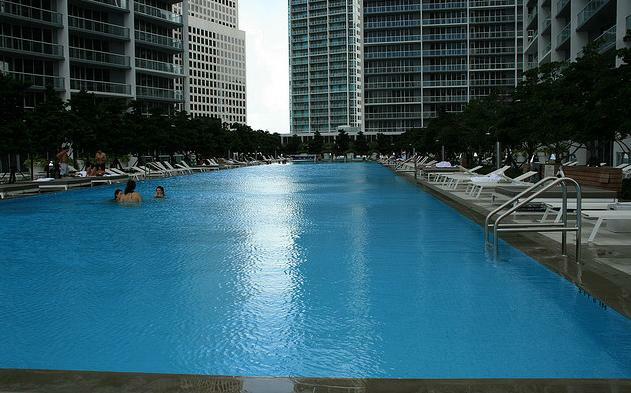 The pool is 120 feet long and it is only open to those 21 years old and above. It has 4 parts where bubbles constantly appear and the poolside bar is equipped with all sorts of satisfying posh drinks. Anyone can grab a vodka mojitos while swimming! 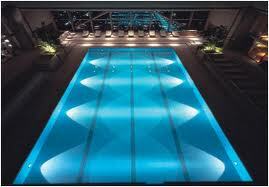 This pool is most beautiful at night. 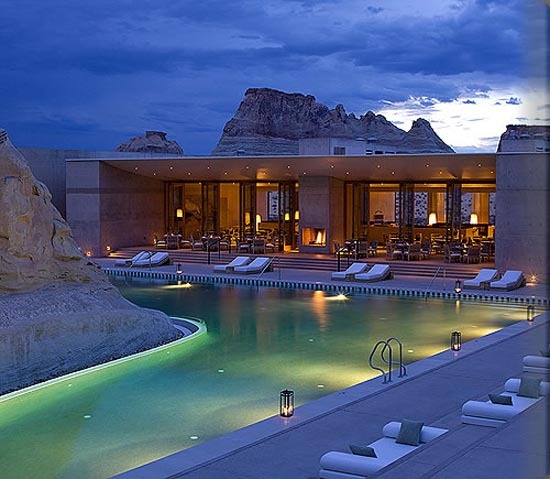 As its name implies, the Amangiri which literally signifies “peaceful mountain” in Sanskrit, has a U-shaped pool that extends to the Jurassic-era stonework cliff of eight feet high. Remarkable views of the vivid hills and peaks of Utah can be captured by the guests when swimming in the water of 84 degrees temperature or when simply relaxing on the king-size beds and lounges around. You might think that it’s a phantasm, but it’s true! 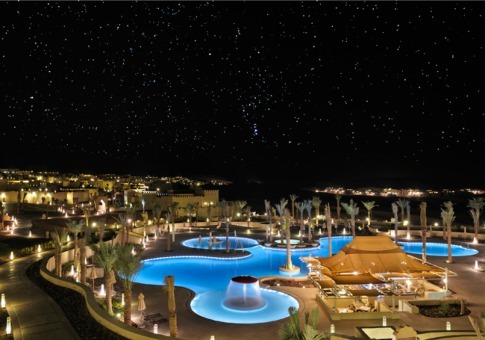 This hotel resort is situated at the center of tall ridges of the Desert of Liwa. It was opened in November of 2009. The amazing view gives the guests a true getaway with the amoeba-formed swimming pool which has a size similar to that of a field of football. 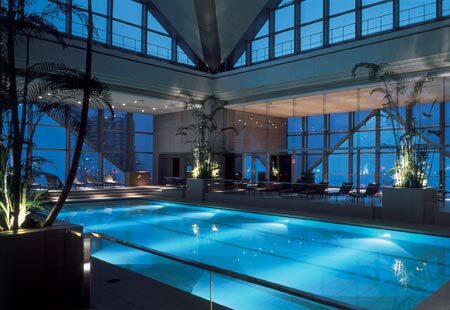 Aside from the fact that Bill Murray was found swimming in this pool in the Lost in Translation, the pool also features its spectacular view from a 47th floor high. 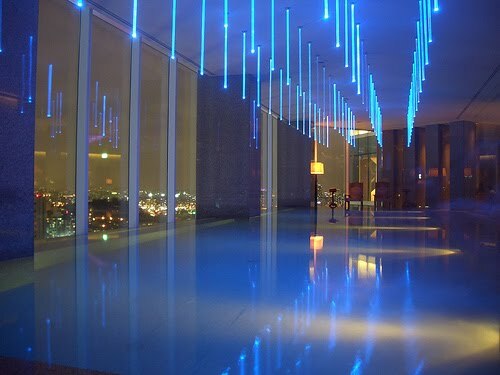 Every visitor is filled with awe when they gaze at the glass windows from the ceiling down to the floor and the natural light that is permitted by the pool’s pyramid-shaped glass ceiling. 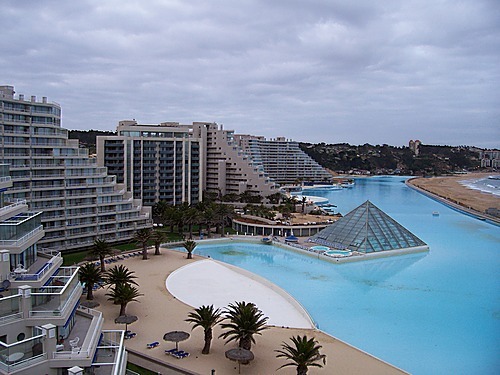 Rated as the Largest Saltwater Pool in the World by the Guinness World Record, small sailboats can be rode in the San Alfonso del Mar. It is two-thirds of a mile long with gigantic waters that can accommodate many human-made sand beaches. 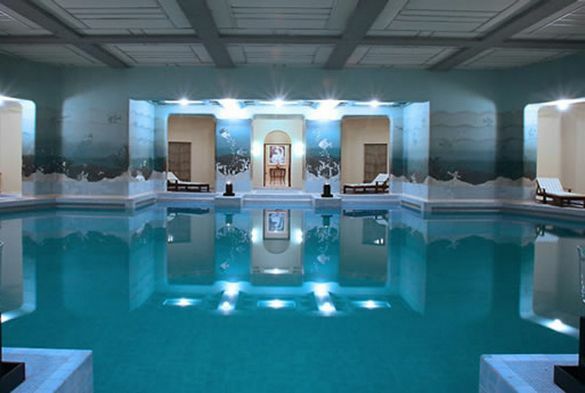 A tranquil, temperature-regulated pool is hidden inside the huge 347-room fortress that overlooks the Blue City of Jodhpur in the Indian State of Rajasthan. 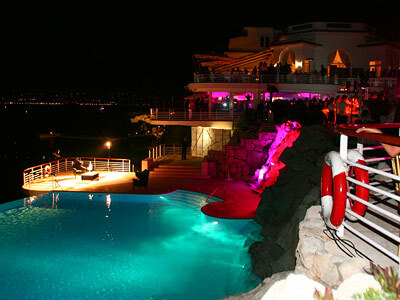 The swimming pool is lighted by natural candlelight and rose petals are sprinkled on it when there are guests. 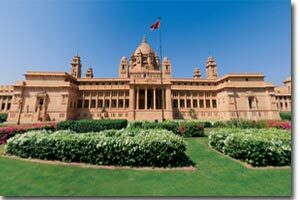 The UmaidBhawan Palace is owned by Maharaja of Jodhpur and is managed by the Taj Hotels Resorts and Palaces. 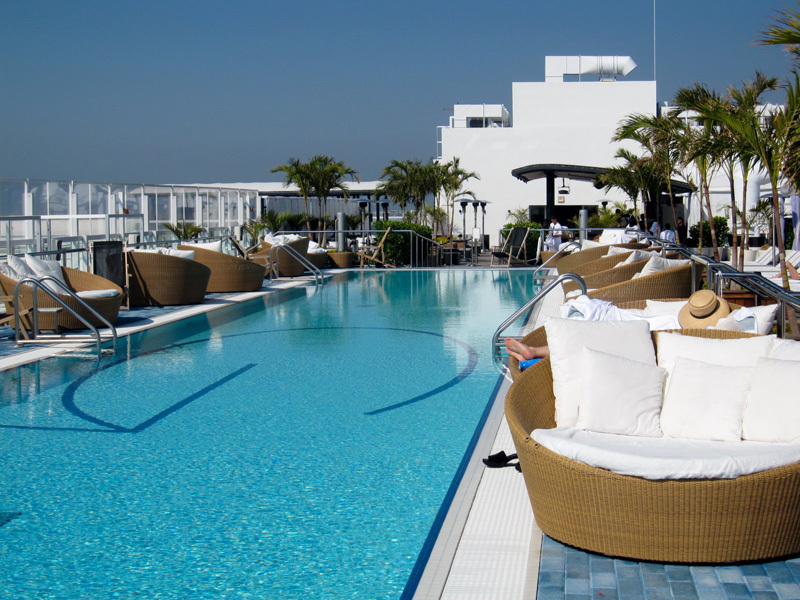 Miami is surrounded by several cool pools but the one in Viceroy outshines them all. 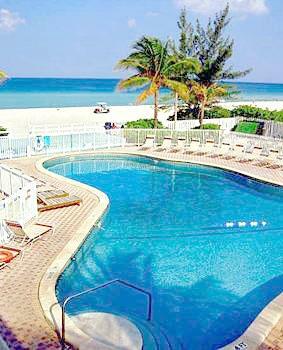 This pool has 3 types including the hot tub for 80 persons, the football-field size pool, and the wading pool. Enjoy them all while grabbing the advantage of the pool deck of 2 acres long that is shaded by Japanese blueberry trees. 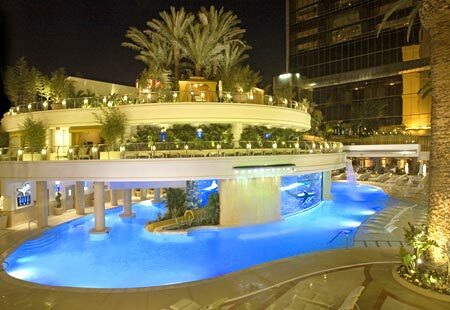 A visit to the Golden Nugget will surely leave you amazed. You will be swimming with sixteen sharks of five different species in the pool of 30 million dollars’ worth. 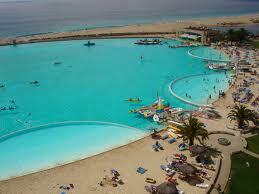 It consists of a two hundred thousand gallon shark tank, waterfalls and a 3-story waterslide. The scary aquatic creatures are housed in the tank with only a 6 inches clear acrylic wall as its separation from where you are swimming. 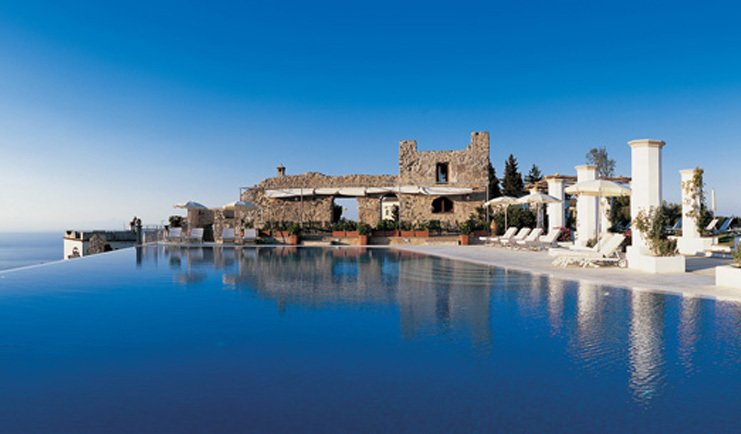 Lying at the peak of the sunshine-filled Amalfi Coast of Ravello, the Hotel Caruso Belvedere offers its guests an open unending pool where spectacular views of the vivid coastline and the waters of the sea can be captured. The pool is verged with ruins of Romans in the 11th century.